March 1 to April 21, 2014, the garden island of Key West comes to the New York Botanical Garden! 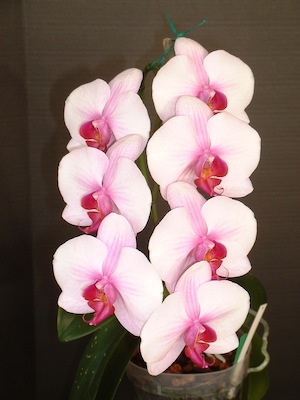 During The Orchid Show: Key West Contemporary, step out of the bustling city and into the Florida Keys, where the dramatic beauty of a flourishing tropical garden is amplified by vibrant architecture to recall this particular island’s charm and ambience. Throughout the exhibition, varied events and activities capture the artistic and cultural appeal of the Keys through live weekend music, a curated poetry walk, our much-loved Orchid Evenings, and more. The Enid A. Haupt Conservatory's sprawling glasshouse galleries are transformed into a modernist Key West estate garden inspired by a garden originally designed by award-winning landscape architect Raymond Jungles for Susan Henshaw Jones, who is President of the Museum of the City of New York, and Judge Richard K. Eaton. Immerse yourself in an effusion of orchids including Vanda (rainbow orchids), Dendrobium (cane orchids), and Cymbidium (Asian corsage orchids), blooming among still, geometric reflecting pools, soaring angular pergolas, and sleek benches. WHEN: March 1 – April 21, 2014, 10 a.m.–5 p.m.
All-Garden Pass tickets start at $20 for Adults and $10 for Kids 2-12.